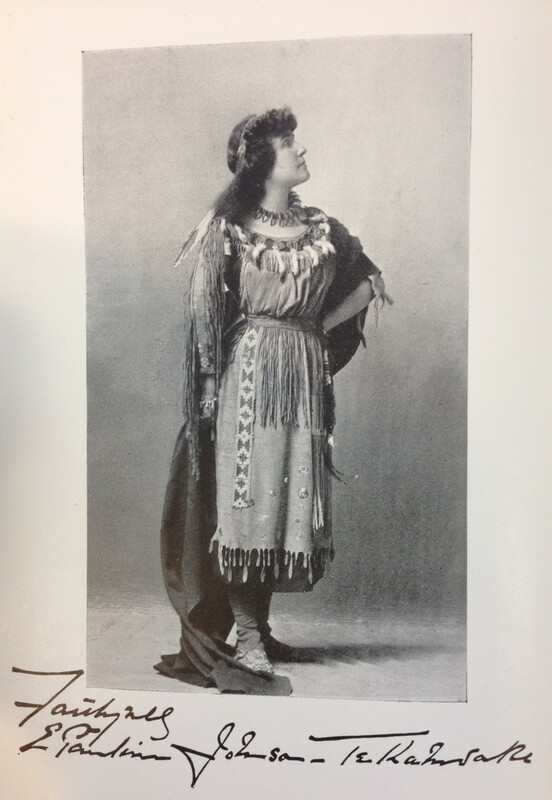 Emily Pauline Johnson was born on the Six Nations Reserve in Ontario. Her father was a Mohawk leader named George Henry Martin Johnson and her mother was Emily Susanna Howells, born in England. Johnson’s writing style reflects the influence of the English Romantics as well as stories learned from her paternal grandfather. Johnson published poems in newspapers and magazines in the 1880s and 1890s. These legends (with two or three exceptions) were told to me personally by my honored friend, the late Chief Joe Capilano, of Vancouver, whom I had the privilege of first meeting in London … To the fact that I was able to greet Chief Capilano in the Chinook tongue, while we were both many thousands of miles from home, I owe the friendship and the confidence which he so freely gave me when I came to reside on the Pacific Coast. These legends he told me from time to time, just as the mood possessed him, and he frequently remarked that they had never been revealed to any other English-speaking person save myself. 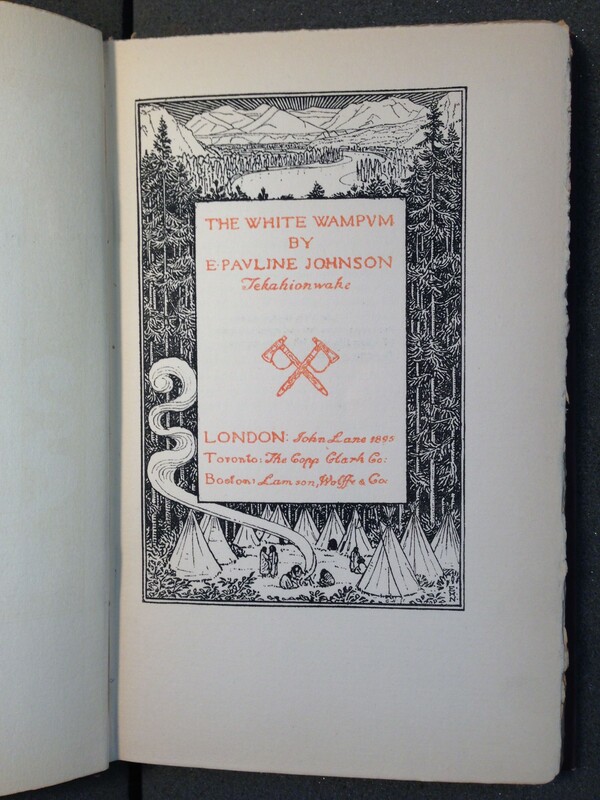 Works of E. Pauline Johnson. When she died in March of 1913, her funeral procession in Vancouver passed by mourners lining the streets, public offices were closed and flags flew at half-mast. Her ashes were buried in Stanley Park. 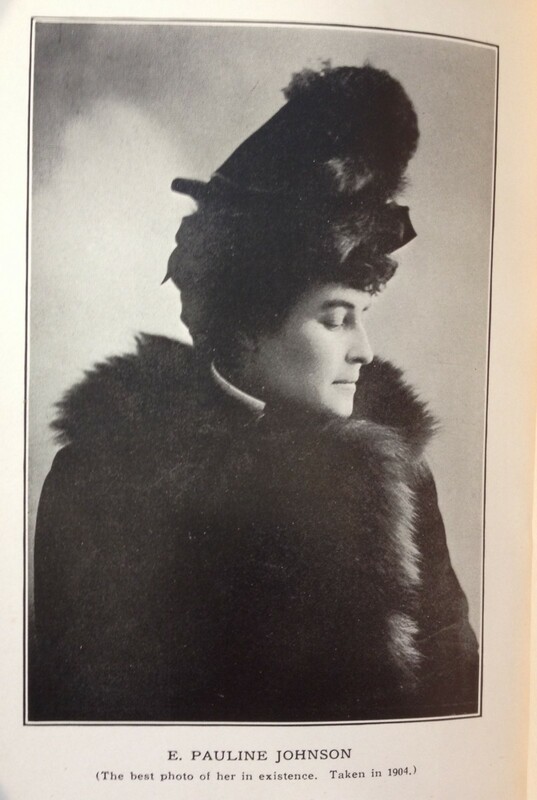 If your curiosity is peaked, and you want to learn more, I highly recommend Charlotte Gray’s biography Flint and Feather: The Life and Times of E. Pauline Johnson, Tekahionwake (2002). ¹ “Johnson, Emily Pauline,” American Indian Biographies, Rev. ed., (Salem Press, 2005), 235. 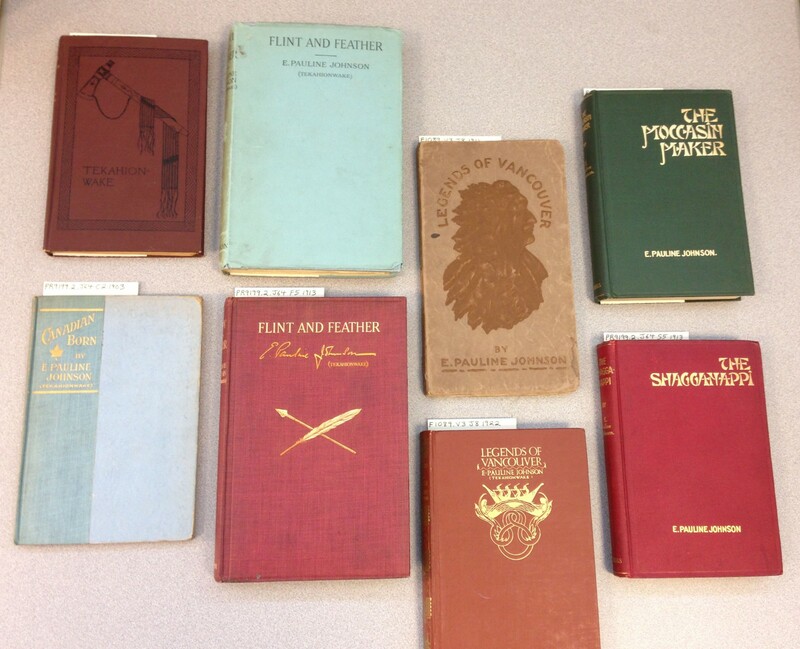 ² Ruoff, A. LaVonne Brown, Introduction to The Moccasin Maker, by E. Pauline Johnson, (Univ. of Arizona Press, 1987), 8-9.